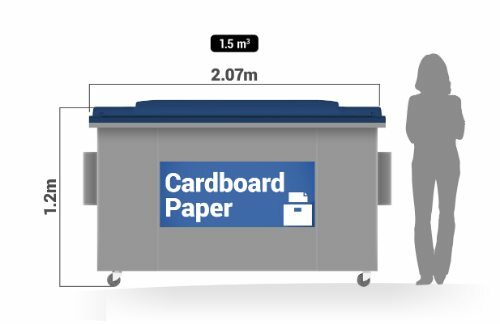 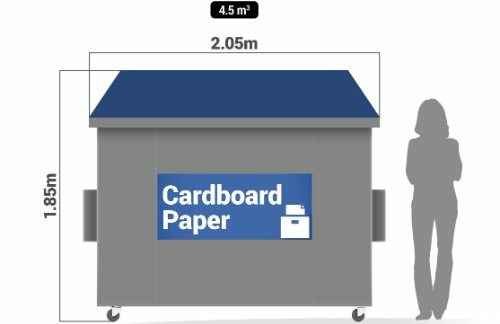 Collection and disposal of 4.5m paper and cardboard bin. 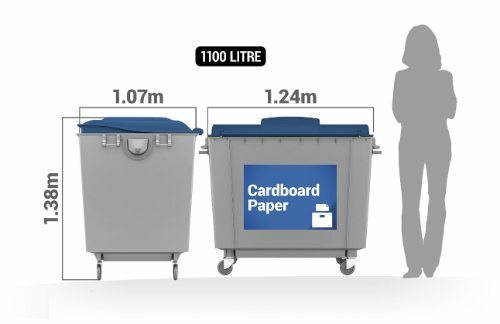 Large metal bin on wheels (or without wheels) as required. 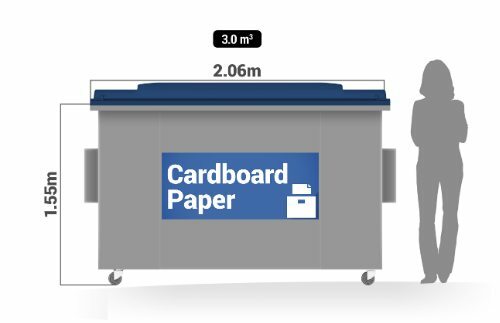 4500 litre capacity – this is the largest front lift bin we provide for cardboard and paper. 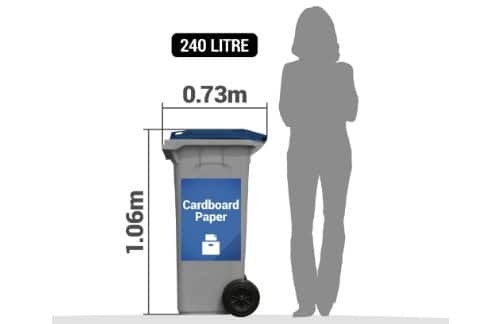 Bin has sloping front and his higher at back.